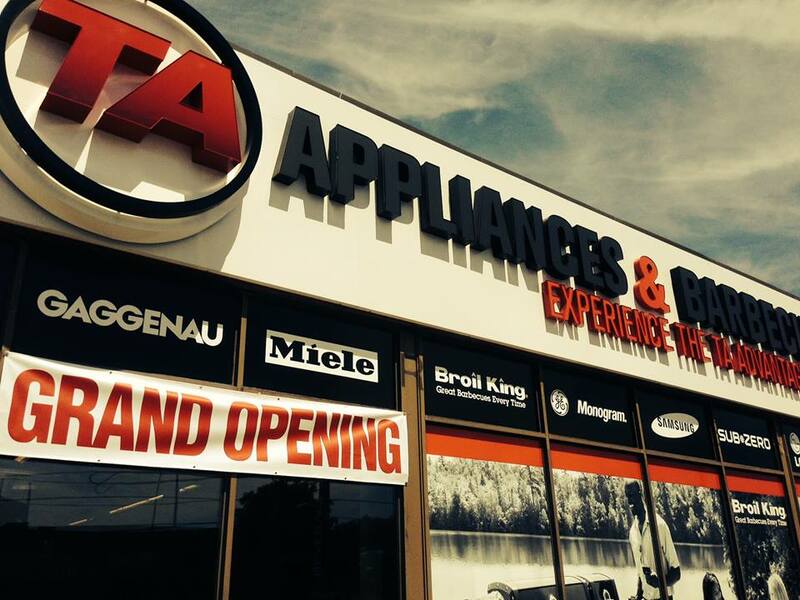 This spring, TA Appliance was proud to open up a new and innovative state of the art 14,000 sq. ft showroom in Mississauga, Ontario. Featuring interactive displays and loaded with the newest premium appliance brands, we’re excited to make a statement in the appliance world. Our Mississauga store is now open at 1655 Dundas St, E. Visit us for a new innovative way to shop for your appliances. Check out premium brands like La Cornue, Bertazzoni, AGA, Marvel, Miele, Sub-Zero Wolf, JennAir, Thermador, Gaggeneau, DCS, and many more. Touch and feel the products in our interactive displays to better understand the appliances. You can get all of your questions answered by Trained Kitchen Integration specialists. Best of all, get inspired by our kitchen vignettes and see how your new appliances can make an impact in your home. Connect with us on Facebook and Twitter, for more of the TA Appliance Experience!